There are numerous computers in the RF-container, which handle data processing, control and storage. One of these has now been taken out and has been moved back to SGO for use there in some of our interferometric riometry development work. 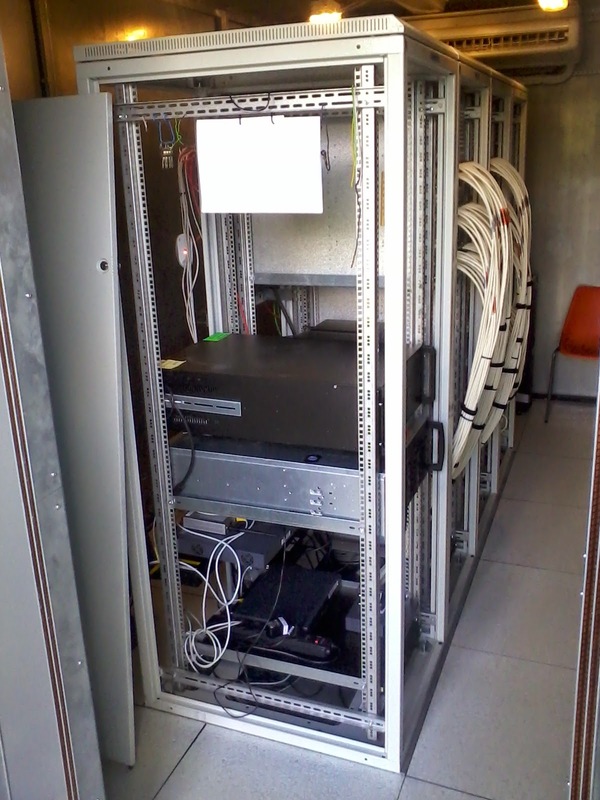 During the extraction of this data system, we had the side cover of the RF-container signal processing racks off, thus once can see the other computers, network gear, etc.